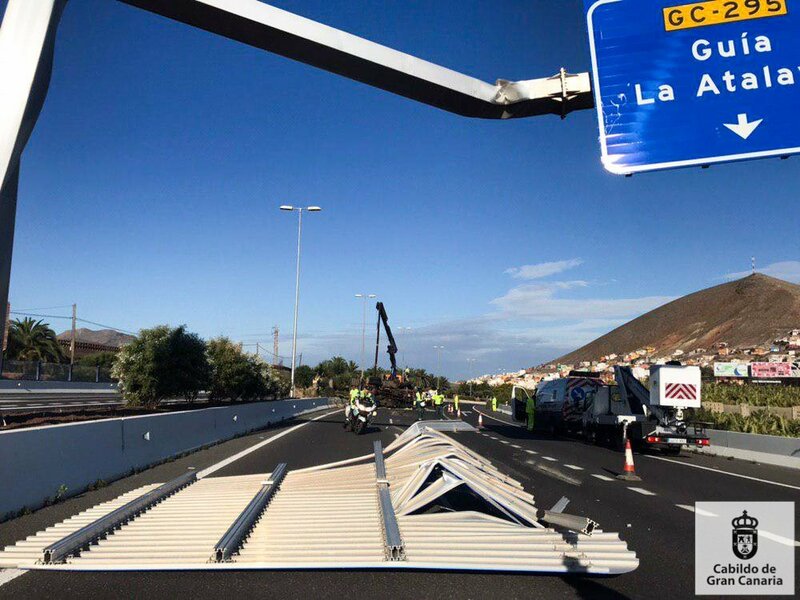 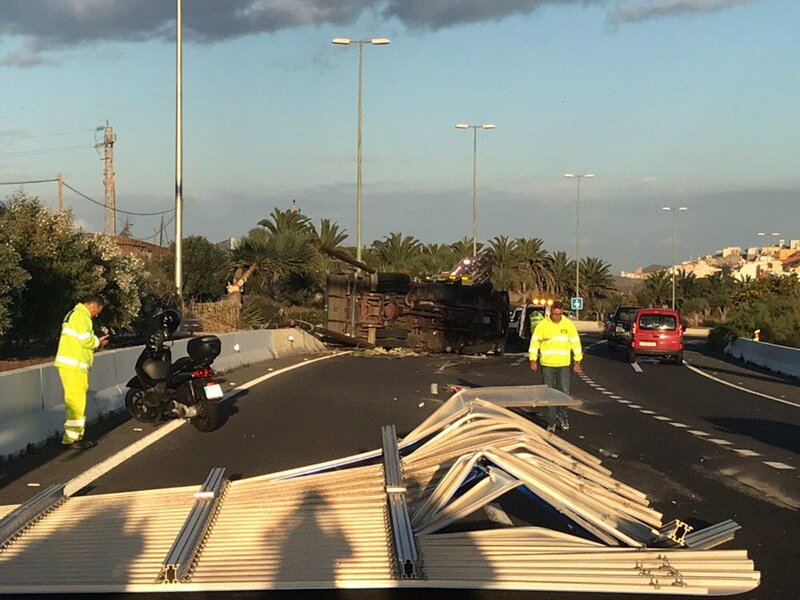 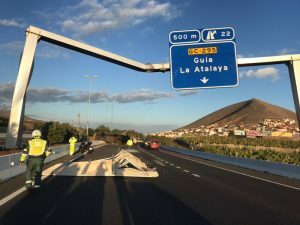 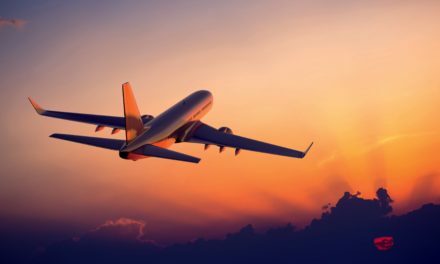 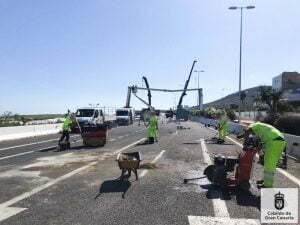 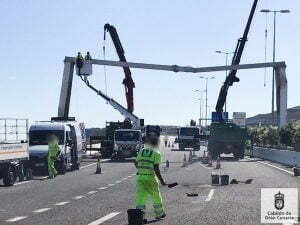 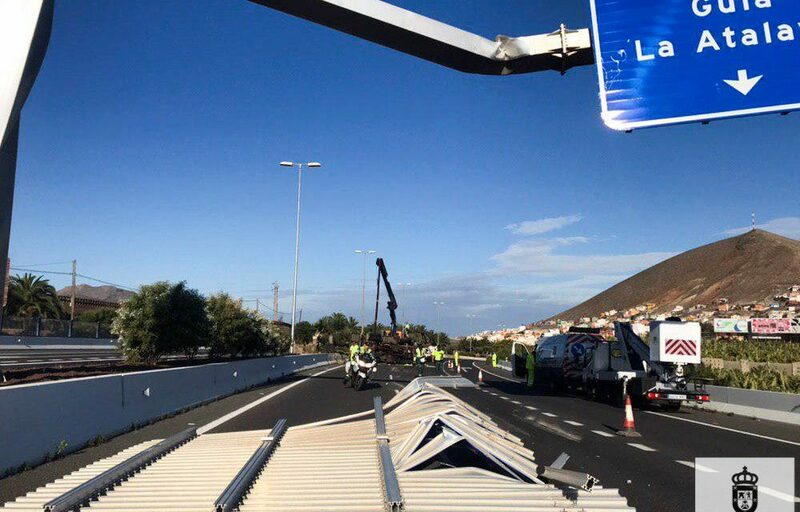 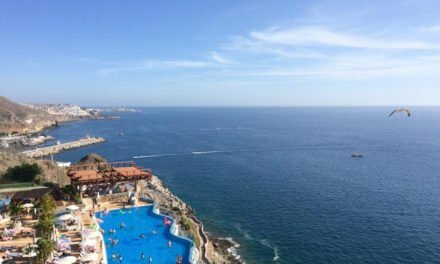 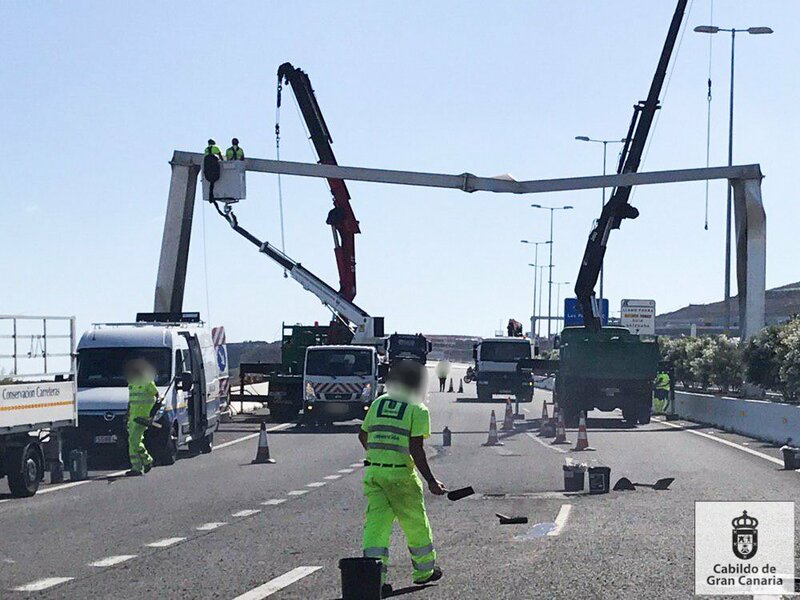 Early this Tuesday morning a truck apparently clipped a large overhead motorway traffic sign, overturning and losing its load on the GC-2 motorway, on the north coast of Gran Canaria, the Department for Roads of the Cabildo of Gran Canaria reported over twitter. 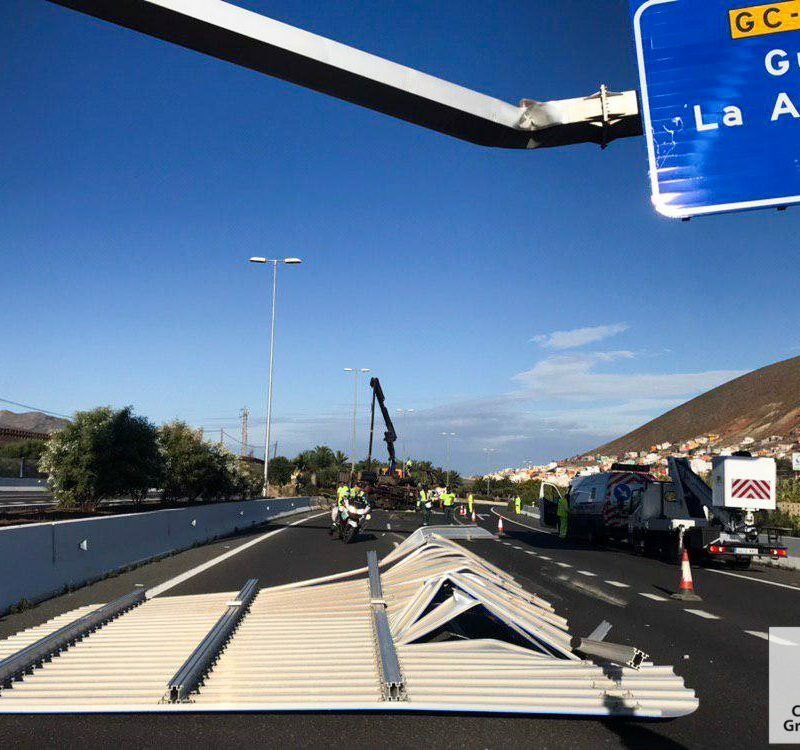 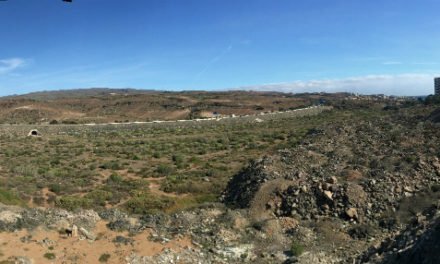 The accident took place near El Pagador on the road heading towards Agaete. 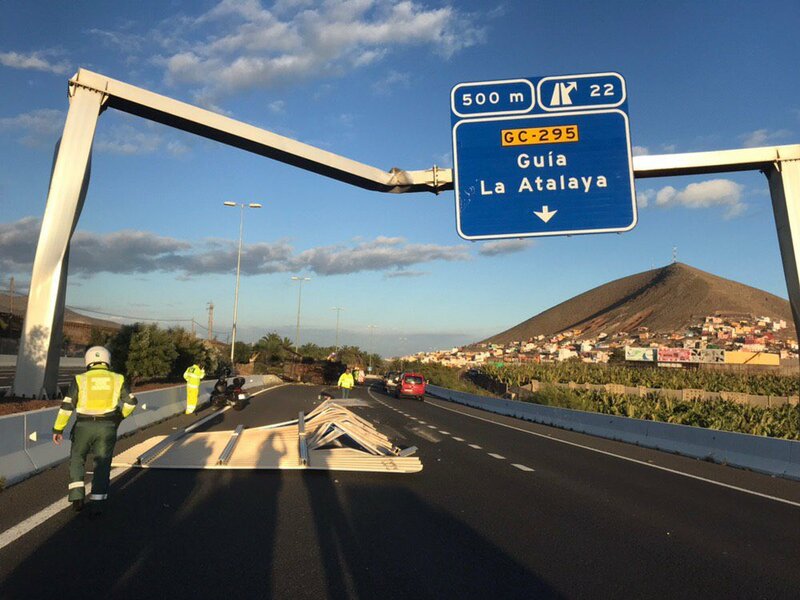 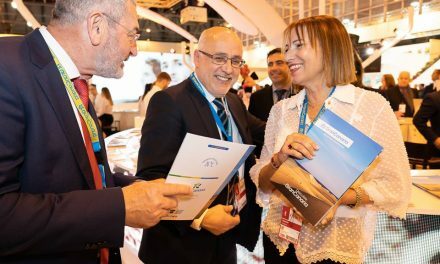 Because the vehicle lost its load on the road, for safety reasons, road workers had to close it to traffic for several hours creating detours via the Cenobio de Valerón road, in the municipality of Guía.